Here’s our Thankful Tree. No, it’s not Pinterest Perfect, but I still have it on display on our mantel. This is a kid-friendly Thankful Tree. As I’ve said before, if you want perfect, you can find another blog to read. We do real life here, we do mess, and we definitely do crafts that the kids can help with. My little tree is proof that anyone with just 20 spare minutes can throw together a Thankful Tree if she’s inclined. I’m showing it to you to set the bar pretty low. You can always improve upon it and make it fabulous. For our tree, I wanted to use things we had on hand, so here’s how we put together our simple little tree without making a trip to the craft store. I used a yellow vase that I bought at Michael’s on clearance for $10 a decade ago, though a really large Mason Jar would be fine. A few weeks ago, I gathered the twigs for it while we were on a nature walk with other homeschooling families. Then I printed some leaf printables that I’d found on Pinterest. Earlier this week, we had a Thanksgiving lesson during our family school time (more on that next week! ), so afterwards, I had the kids sit down and color their leaf pages. We glued the pages to construction paper before cutting them out and punching holes in them. With four of us, we could spend a lot of time cutting out leaves for every day of November, so after we did a few pages like this, I changed plans. I folded construction paper & scrapbook paper into 8ths or 10ths and cut through all the layers at once, free hand cutting the leaves. This saved quite a bit of time. We keep raffia ribbon, a Sharpie, and the leaves all in a bowl in the china cabinet, ready for our time of thankfulness at the dinner table every night. Me: What are you thankful for? 4 Year Old: I’m thankful for…I’m thankful for…I wish that when the rain stops everyone in the world could see a rainbow!!! Me: So you’re thankful for rainbows? Once November is over, we’ll take our leaves down and use this same vase & twigs for our Jesse Tree during Advent. If you want more ideas on how to do a Thankful Tree, you can follow my Thankful Tree board on Pinterest. Have you made a Thankful Tree? How do you make yours? Do you have other Thanksgiving traditions that your kids enjoy? We did a similar version last year but taped the leaves to a hand-made (by the 3 year old) paper tree on the wall. It was so much fun and a great learning activity. We are starting our new ones this weekend. 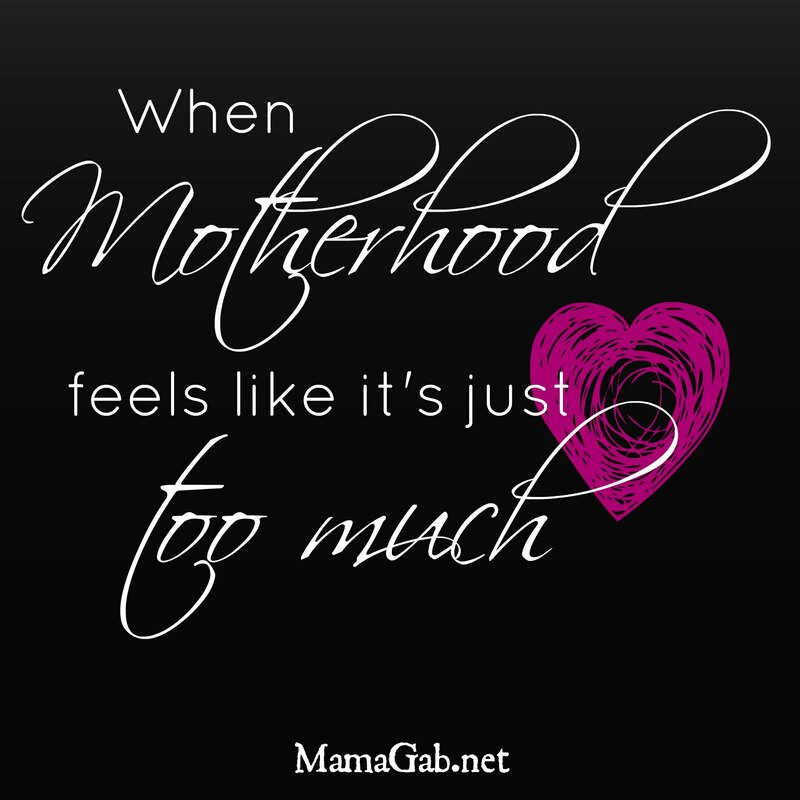 Thanks for joining the Mommy Mixer this week. Nicolette Springer recently posted…Happy Birthday to the Best Mommy and Nana Ever! Oh fun!! I love that idea. Thanks! I’m not super crafty, so anything that’s not messy suits me perfectly. What a cute, cute idea! I just pinned this so I can remember it for next year when my daughter is a bit older. I love that the focus is on the thankfulness and what your child says, rather than making it some elaborate Pinterest-perfect display. Thanks so much, Becky! I’m glad you enjoyed it. This is so cute and I think it looks simple enough that even I can pull it off! I’m looking forward to starting it! This is so cute! I think it is Pinterest worthy. This would be really fun to do! Pinning! Our family had so much fun making our thankful tree. Thanks for the great idea, Gabby. I love yours! It looks great! Thanks for the great idea, Gabby, and for sharing our tree! I love it so much we are actually working on a winter-themed craft now that I can reuse the sticks and vase. I’ll share it with you once it’s done.